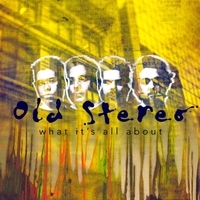 What It's All About is Old Stereo's second EP. Recorded between September 2014 and April 2015 What It's All About is Old Stereo's second EP. The EP features a mix of soul R&B, Funk, 60's and 70's inspired rock, 80's pop and jazz all blended into a sonic cocktail that is undeniably Old Stereo.